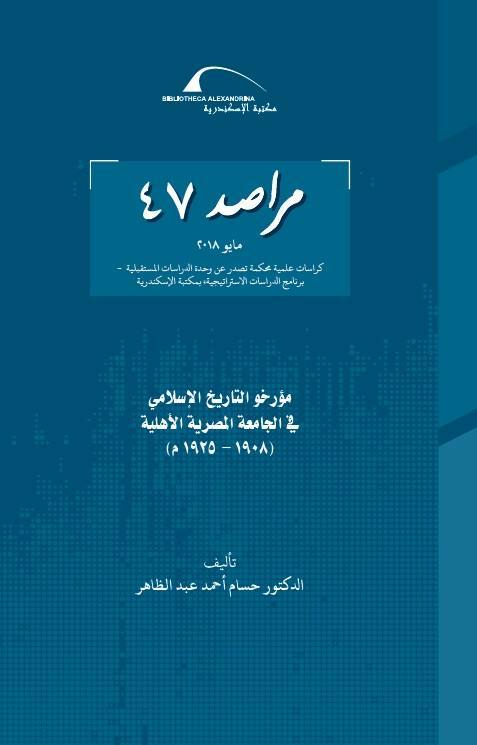 The BA Center for Strategic Studies publishes the 47th issue of Marased periodical, titled “The Historians of Islamic History in the National Egyptian University (1908 – 1925)” by Dr. Hossam Ahmed Abdel Zaher. The issue tackles the Egyptian University’s School of Islamic History which founded the contemporary definition of historical writing in the Islamic Middle Ages. The school also sheds light on the Islamic civilization and its development over the centuries through focusing on the contributions of the school’s pioneers, as well as their points of agreement and differences. 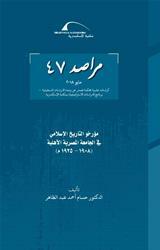 The importance of this study, which lasted for two years, lies in highlighting the intellectual arguments which accompanied this early stage of the scientific and cultural renaissance in Egypt and the Arab World.